We all love to laugh right? Be it romcoms, political humour, one-liners, satire, stand-up...the list goes on! For me stand-up has always been my go to if I want a laugh, and yes, if you haven't guessed already, Jon Richardson is my all time favourite! I suppose I first became aware of him about 4 or so years ago, around the time he first appeared on 8 out of 10 Cats as a guest, before he became a team leader. Since then I have been hooked, I saw him live about two years ago in London, second row from the front, it may have been the best birthday present I ever received! He was amazing! Since then I learnt to be content with just watching him on the likes of 8 out of 10 Cats and any other comedy program he pops up on, but around Christmas time, tickets went up for a new tour and I managed to get front row seats at my local theater! It's safe to say it was one of the best nights I have had in a long time, being in the front row meant that we got the interaction with him that you don't really get when you are sitting further back. It was great to hear some new material and I am now suffering from sore cheeks and a cracking headache from laughing too much. Afterwards we hung around at the stage door in the hope of meeting him- 'don't be weird, don't be weird' I kept telling myself and as you can see below, I finally met him and I wasn't weird! It was a good night all round. 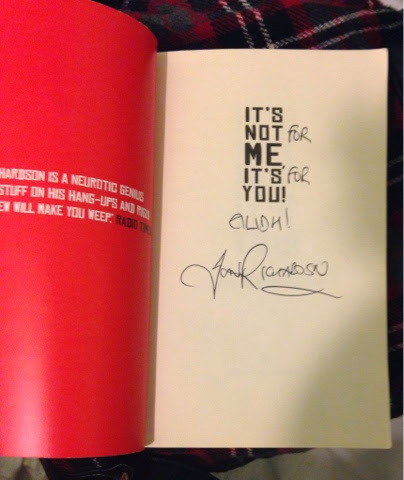 They say don't meet your heroes, but Jon Richardson is just so lovely, patient and funny, meeting him was the sort of thing I would never have thought would happen but it has put a permanent smile on my face! 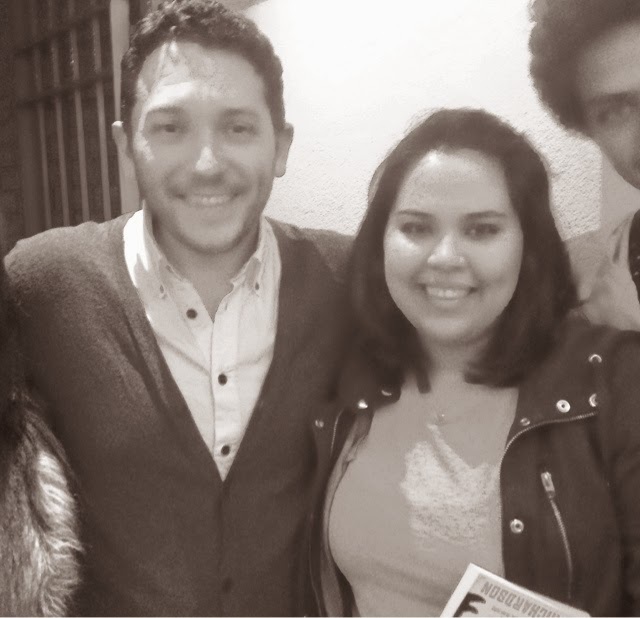 Are you a fan of Jon Richardson? I'm a lover of stand up too and I love Jon Richardson! I've been meaning to read It's Not Me, It's You for a long time. He seems so lovely in real life and so glad that you've confirmed it! He is amazing! It's definitely worth a read!